Despite their diminutive scale, peanuts play an outsized role in American culture. Peanut butter has long been a mainstay of the American lunchbox, with its sticky, slightly sweet nuttiness flavoring the memories of generation after generation of kids. And it's hard to imagine ballgames without, as the song goes, peanuts and Cracker Jacks (which, of course, also contain peanuts). But today, peanuts are the source of both hope and fear: while there’s been a surprisingly steep rise of peanut allergies in recent decades that can—though rarely—lead to death, peanut butter is also the basis of a medical therapy used to save the lives of millions of children around the world. This episode, we discover how the humble peanut got to be such a big deal. 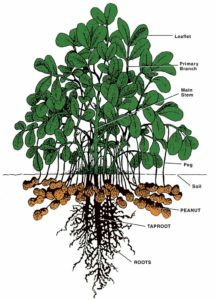 Though we call it a nut, the peanut is actually a legume, more closely related to soybeans and lentils than almonds and walnuts. 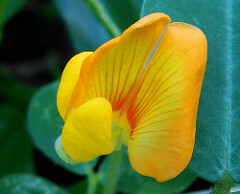 It's also a botanical anomaly: the plant produces a beautiful yellow orchid-like flower, but then pushes out a peg that grows downward into the ground underneath, where it forms into a peanut. This flower-above-ground-then-burrow-underground-to-fruit trick is replicated by only one other plant in the world, the bambara groundnut, native to West Africa. When the Conquistadors first encountered natives eating peanuts in the Caribbean, they likened its taste to that of a hazelnut and quickly incorporated it into their own diet and cuisine. Because of the peanut's appetite-satisfying crunch and long shelf-life, the nut traveled with sailors around the world to Africa and Asia, where peanuts and peanut oil quickly became staples. Then peanuts crossed the ocean from Africa back to North America, where they found an entirely new level of stardom after meeting a mechanical grinder and their life partner, jelly. Curiously, Senegal-based journalist Jori Lewis, who's writing a book on peanuts and the slave trade, told us that despite the fact that peanuts were eaten in Mexico, there's no evidence that the legume crossed the Rio Grande until slave ships carried peanuts back to the U.S. 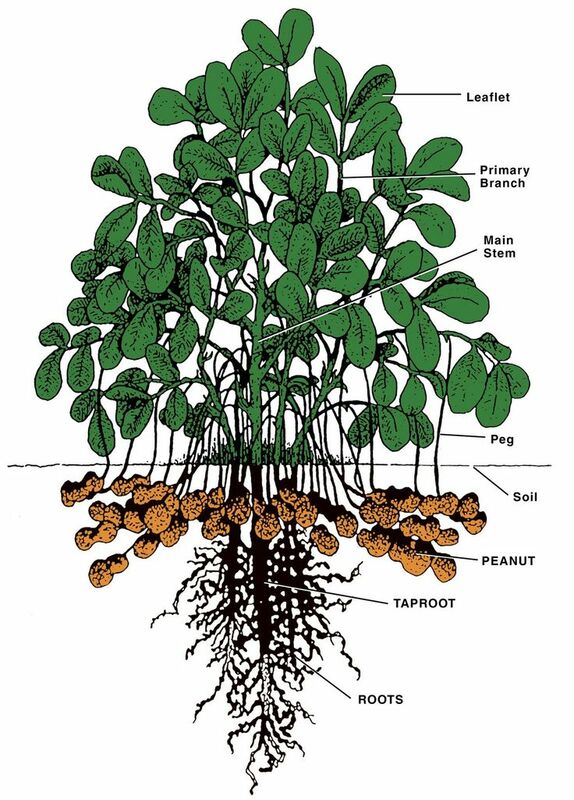 Peanuts gradually became hugely important to Southern agriculture, according to Jon Krampner, author of Creamy & Crunchy: An Informal History of Peanut Butter, the All-American Food. In this episode of Gastropod, he helps us untangle the sticky origin story of peanut butter, which pits health-nut and cereal-maker John Harvey Kellogg against snack-food-manufacturer George Bayle, both of whom are credited with inventing the spread. Matthew Smith, author of Another Person's Poison: A History of Food Allergy, discusses the dramatic rise in peanut allergies, as well as the hypotheses behind the why the peanut has become poison to so many. And Martin Bloem, senior nutrition advisor at the World Food Programme, explains how Plumpy'Nut, a peanut-butter-based squeezable fortified paste, has helped save the lives of malnourished, starving children around the world. Love peanut butter (like most Americans) or find its mouth-gluing stickiness off-putting (like much of the rest of the world)? Either way, listen in for the fascinating story behind peanut power—and our guide to tracking down rare peanut varieties. Author and journalist Jon Krampner is the author of Creamy & Crunchy: An Informal History of Peanut Butter, the All-American Food, which contains, alongside the story behind America's favorite sandwich spread, an extensive peanut discography and enough peanut butter recipes to satisfy even the most hardened addict. Journalist Jori Lewis reports on the environment and agriculture around the world. She's currently based in Senegal, where she's reporting a book about peanuts and the slave trade. You can find more of her work online here. Historian Matthew Smith is based at the University of Strathclyde. His research focuses on the history of health and medicine, and he's previously published on the relationship between food additives and hyperactivity. His most recent book, Another Person's Poison: A History of Food Allergy, explores the varying ways in which society and medical experts have responded to food allergies over time. Martin Bloem is senior nutrition advisor at the World Food Programme (WFP), as well as the global coordinator at UNAIDS for the WFP. He spoke to us about Plumpy'Nut, the peanut-butter-based squeezable fortified paste that he has used to help save countless lives all around the world. For more background on its origins and the controversy surrounding Nutriset's patent, this New York Times Magazine feature and BBC article are helpful, and more information about the Clinton Foundation's work to support local production of fortified peanut paste can be found at their website.